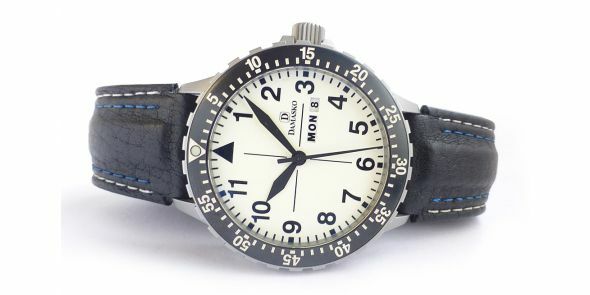 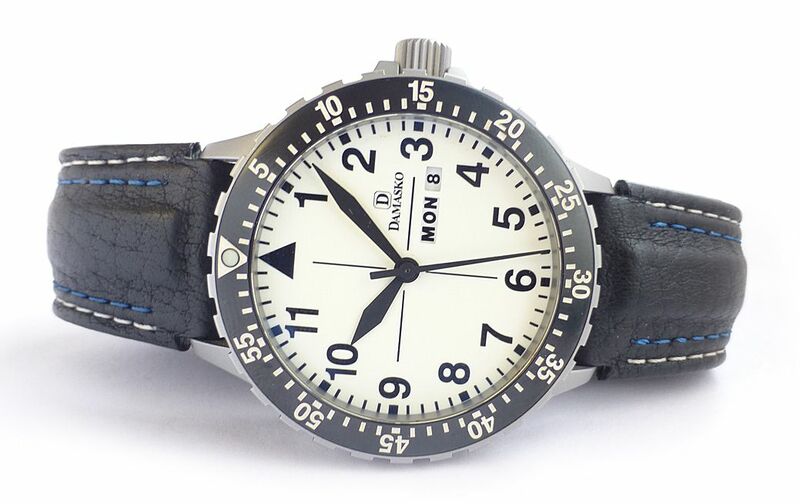 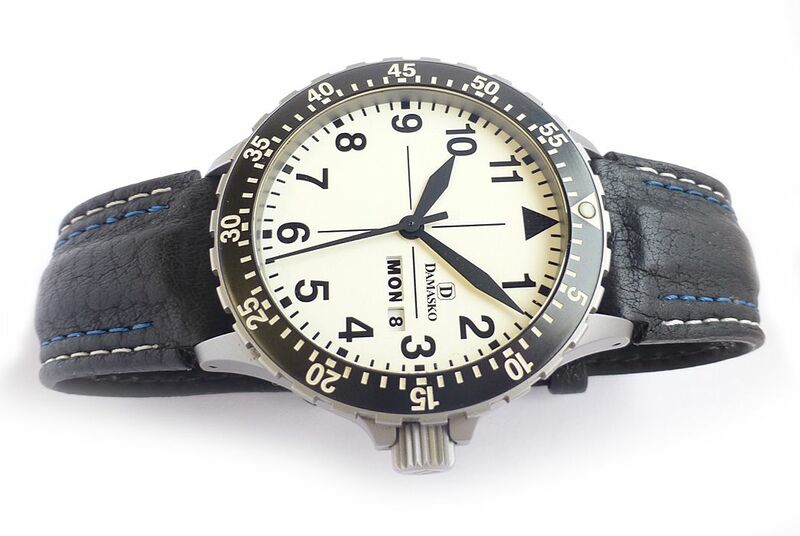 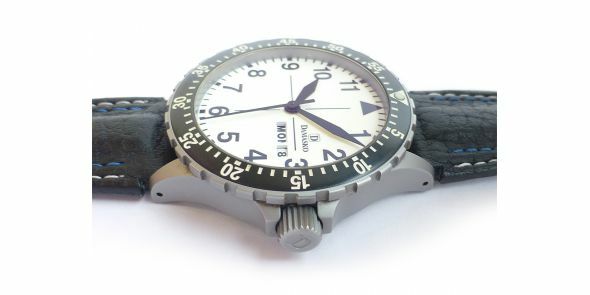 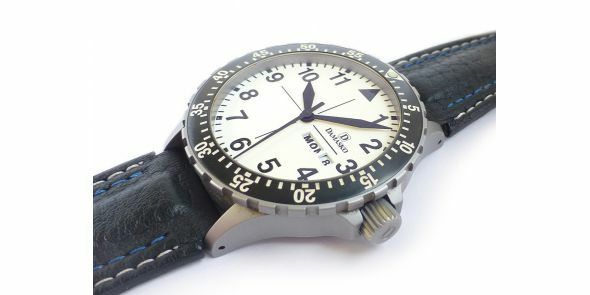 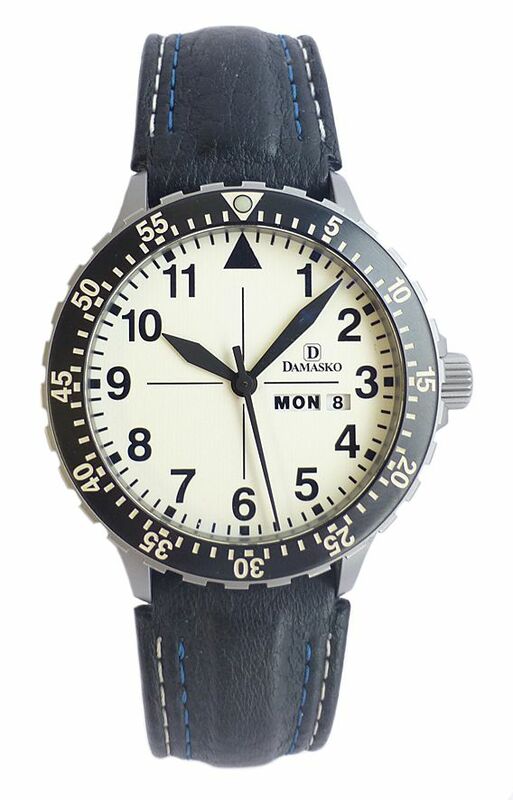 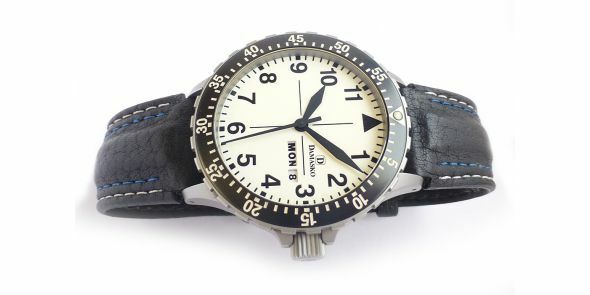 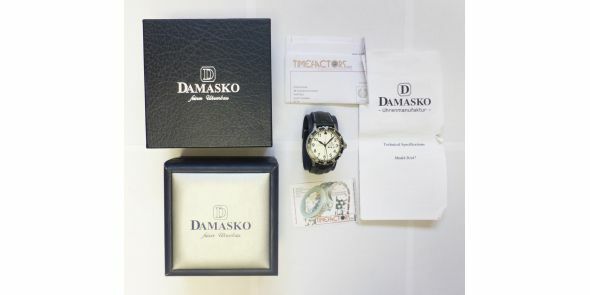 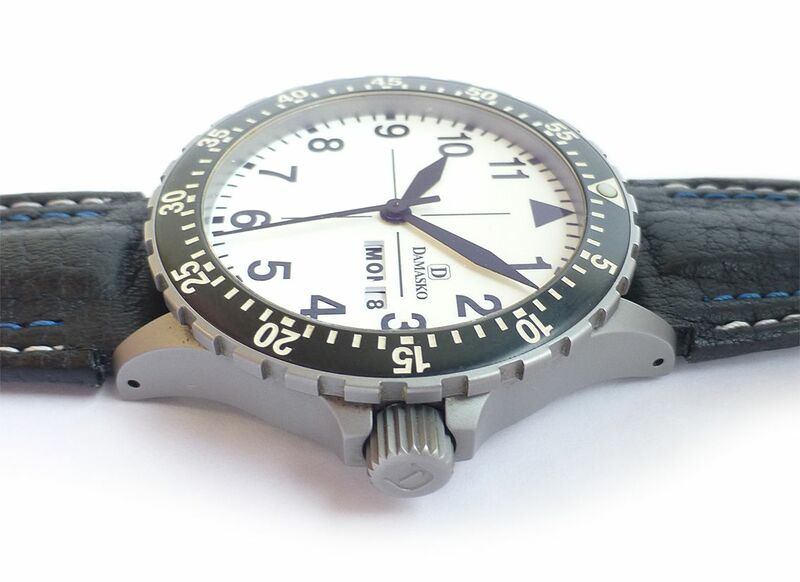 Used but mint condition Damasko DA47 automatic day date wristwatch. 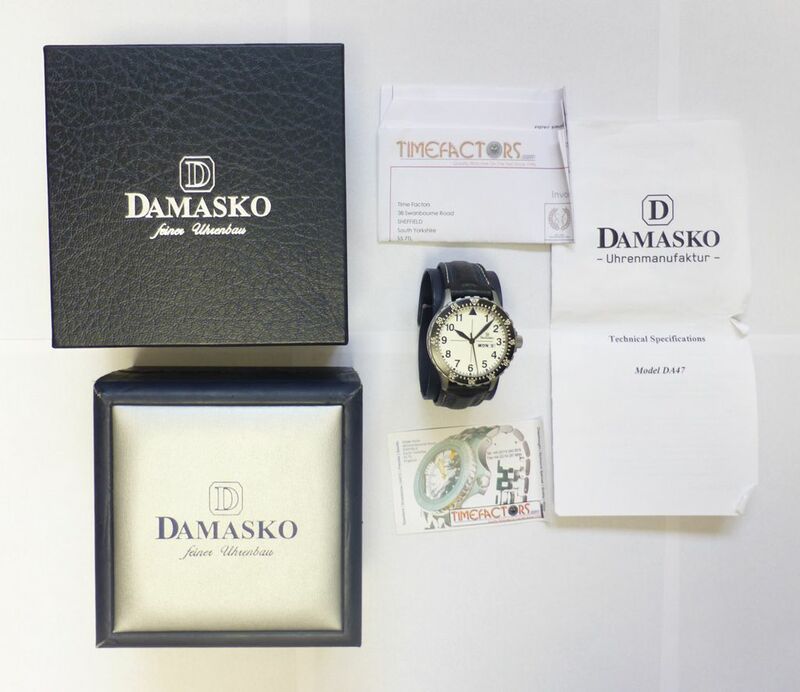 It was originally purchased form then authorised dealers Timefactors in 2012 and comes complete with boxes and paperwork. 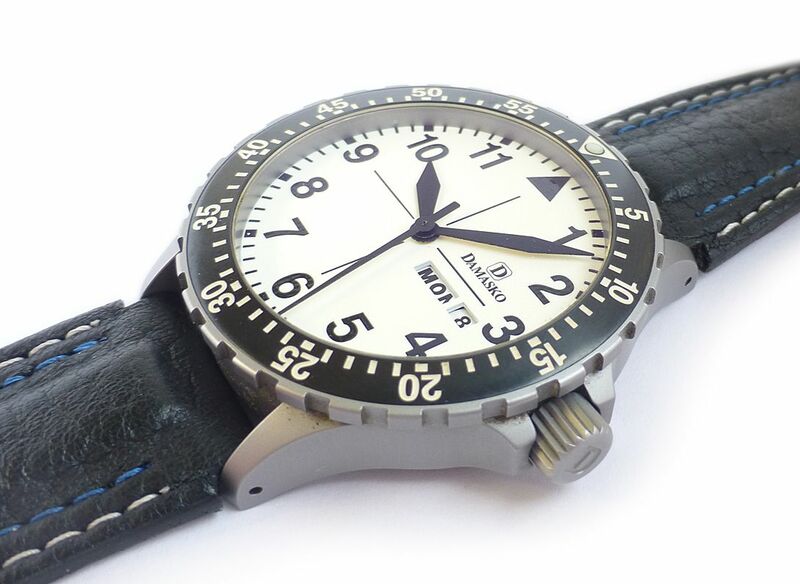 It has a day date function and has a fully luminous dial. 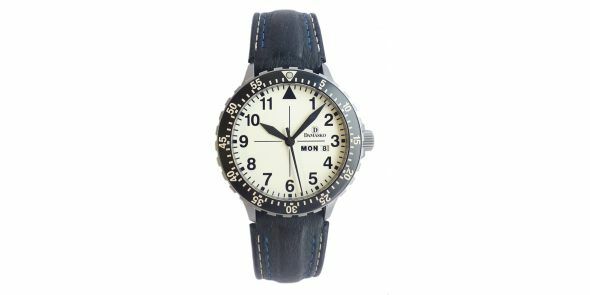 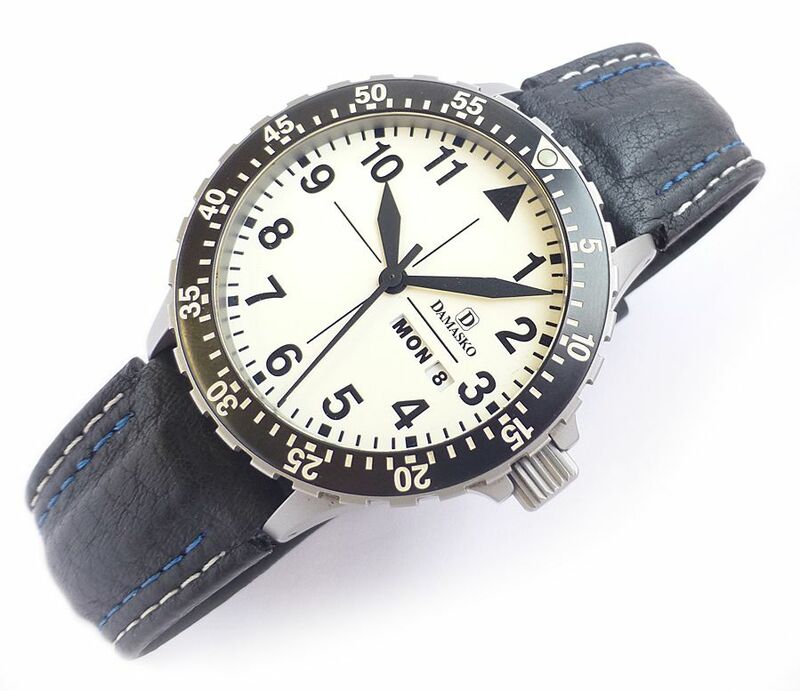 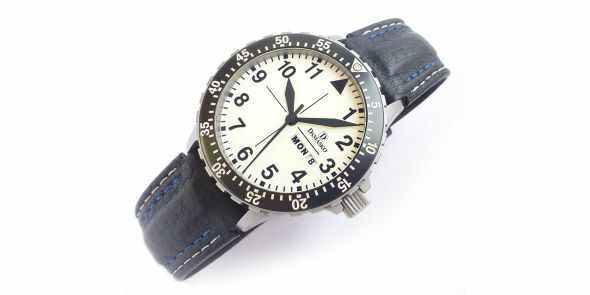 It comes on the original black leather aviators strap with double stitched blue and white seams and original buckle, Sapphire crystal and screw down crown with solid steel screw on case back.